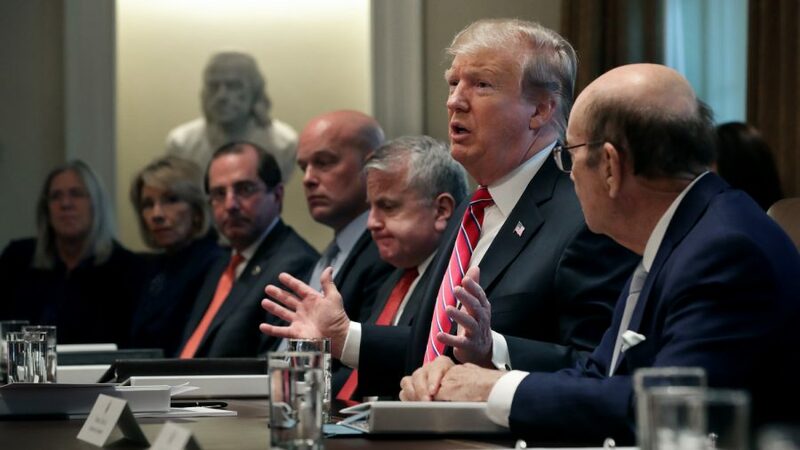 WASHINGTON—President Donald Trump said on Feb. 12 that he was “extremely unhappy” with the tentative deal reached by congressional negotiators. However, he said he would not accept another government shutdown. Congressional negotiators reached on Feb. 11 an agreement to prevent a government shutdown and finance construction of new barriers along the U.S.-Mexico border. Republicans tentatively agreed to less money for the border wall than the White House’s $5.7 billion wish list, settling for a figure of nearly $1.4 billion, according to congressional aides. The funding measure is through the fiscal year, which ends on Sept. 30. Trump said the White House was also adding its input to the agreement. “Am I happy at first glance? I just got to see it. The answer is no,” Trump continued. However, he said he was thrilled with the progress. When asked about the possibility of declaring a national emergency to fully fund the wall, Trump said he was considering all options. “I’m considering everything. We already have national emergencies out there. President Obama, President Clinton, President Bush, they’ve declared many national [emergencies]–this is not unique,” he said. On the possibility of another government shutdown, Trump said he would not accept another shutdown. Sen. Richard Shelby, the chairman of the Senate Appropriations Committee and a key negotiator in the bipartisan border security conference committee said that the lawmakers are still working on the legislative text. The office of Senate Appropriations Committee confirmed that the text would be finalized by Wednesday, Feb. 13. While the details of the agreement are still being hammered out, congressional leaders on both sides of the aisle welcomed the news. “Last night, the country heard some good news,” Senate Minority Leader Chuck Schumer (D-N.Y.) said on the Senate floor on Feb. 12. Schumer urged Trump to sign the agreement. “Certainly good news. 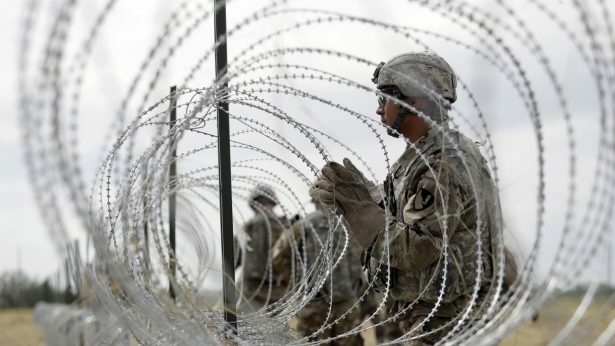 It provides new funds for miles of new border barriers and it completes all seven outstanding appropriation bills,” he said on the Senate floor on Feb. 12. It had been clear to everyone that, in order to reach an agreement, our Democratic colleagues would have to walk away from two extreme positions that had been dictated to them by the far left. I’m glad they did. Stocks rose on the news, with the Dow Jones industrial average gaining nearly 350 points, or 1.5 percent. S&P 500 and Nasdaq also jumped more than 1 percent. Congress needs to reach an agreement by Saturday, Feb. 16 and get Trump’s signature to avoid another partial government shutdown. The agreement reached by the conference committee also includes increases for new technologies such as advanced screening at border entry points, humanitarian aid, and additional customs officers. On Feb. 10, President Trump’s acting Chief of Staff Mick Mulvaney told “Fox News Sunday” that the White House would build a wall along the U.S.-Mexico border, with or without funding from Congress. Additional reporting by The Associated Press and Reuters.